A fter two centuries of isolation, Japan opened its borders in the mid-19th century and sparked a craze in France – known as Japonisme – that gave rise to Impressionism, the aesthetic movement and Art Nouveau. This phenomenon changed the course of Western Art and is the focus of a forthcoming exhibition at the Musée des Arts Décoratifs in Paris. Genlis et Rudhard, vase, Paris, circa 1863. Photo: Jean Tholance. 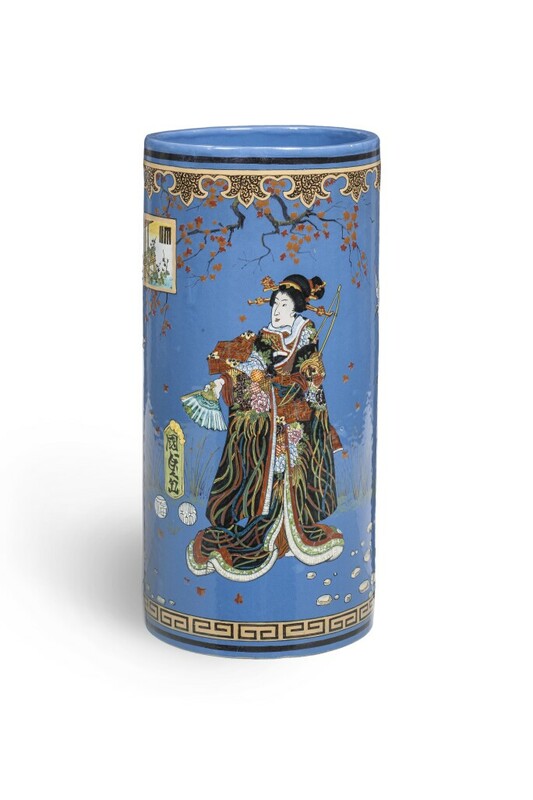 Image courtesy of Musée des Arts Décoratifs. Japon-Japonismes: 1867–2018 celebrates 150 years of diplomatic relations between Japan and France and, says curator Béatrice Quette, "emphasises the history of artistic and cultural exchanges between the two countries for a century and a half." 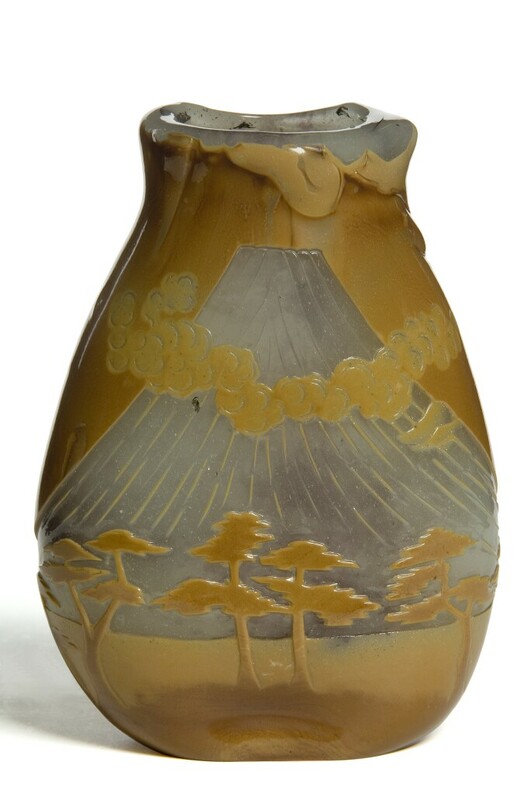 François-Eugène Rousseau, Mont Fuji, Vase, Paris, circa 1884. Photo: Jean Tholance. Image courtesy of Musée des Arts Décoratifs. Quette wants to reveal the sheer depth of Japanese influence on French art, "not only in ornamental patterns but also ergonomics, design and the sobriety of shapes and uses," she says. Highlights from the almost 1,500 works that make up the show include French glassmaker François-Eugène Rousseau's delicate "Mount Fuji" vase, made in the late 19th century, and a striking dress by contemporary Japanese fashion label Issey Miyake, which features a bold motif by legendary graphic designer Ikko Tanaka.